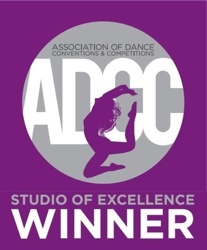 ADA offers classes for people of all ages, beginner to advanced. 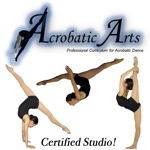 We offer classes in ballet, tap, jazz, lyrical/modern, hip hop, musical theatre, gym and toning classes. ADA offers classes for children as young as 3 yrs old. You can make your own schedule by choosing 1 style of dance or all of them. Please see the office staff if you would like help putting together a schedule. We’d be happy to help you find the right classes for you or your child/children. The Recreational program is designed for the beginner student age 3 and up who would like to learn different styles of dance without having to take several classes a week. Most of the recreational classes are combination classes. Combination classes combine 2 classes in 1 hour. This allows the beginner student to be exposed to 2 different styles of dance to see what style of dance may interest them the most. The Competition Team Program is designed for the serious student who enjoys performing and wants to excel at a faster rate. The students learn how to set and achieve goals, teamwork, and sportsmanship in a positive environment. They learn to appreciate healthy competition and it’s a great way to boost self-confidence and self-esteem. Competition Team is by audition only and open to ADA students 6 yrs old and up. See the Competition Page for more information and class requirements. The ADA Scholarship program is designed to reward model students and help with financial costs of pursuing a career in dance. Serious students in the Competition Team Program and/or the Pre Professional Ballet Program are eligible to audition for the Scholarship Program after attending classes at ADA for a full school year. The recipient will be a student that excels in attendance, dance etiquette, required learning material, and takes every opportunity to grow as a dancer and a person. A limited number of partial and full scholarships will be awarded at the end of the year.